More and more customers are embracing social media as their new support channel. 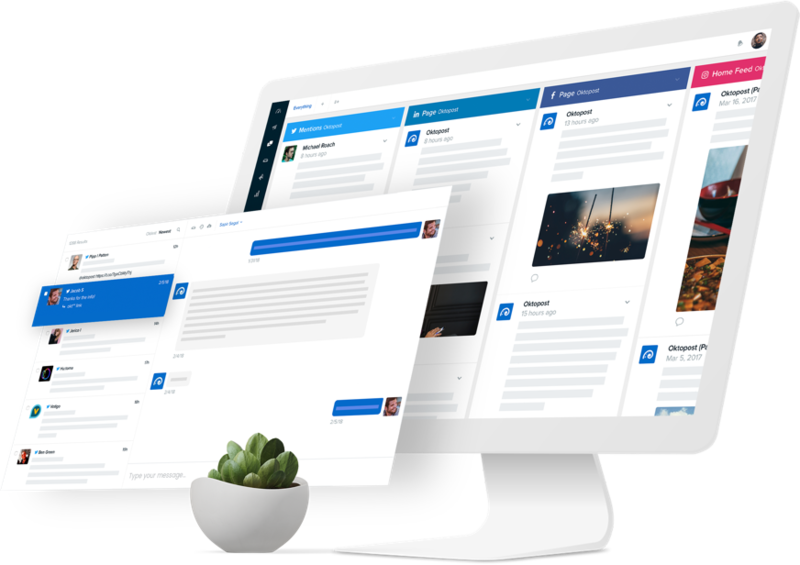 That’s why we’re excited to introduce our brand new Social Inbox, which streamlines all of your inbound social conversations, allowing global enterprise teams to manage and track responses, at scale. Besides answering technical or sales-related questions, the Social Inbox makes it easier to route conversations to specific representatives, ensuring that every interaction comes from the right person, at the right time. Make your Customers Happy. In Real-time. 51% of customers expect to hear back from a company within an hour, yet organizations take an average of 4 hours to respond! Clearly, companies are falling behind when it comes to responsiveness and problem resolutions. So to help you connect with customers on social and meet their expectations, our new Inbox will automatically aggregate the following interactions – from every network – into one place. This new capability makes it much easier (and realistic) for your team to deliver timely responses while enriching the customer experience through personal and immediate engagement. 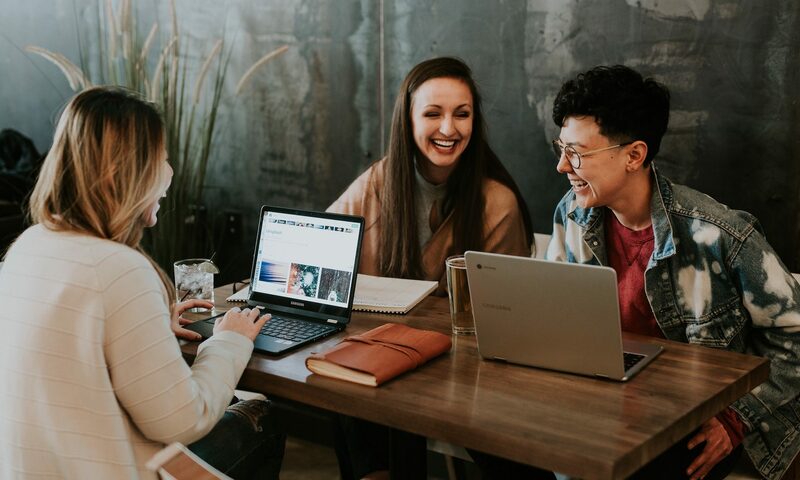 Collaboration: Team members should be able to work together to provide immediate and personal responses – for overall better customer relationships. Audibility: Team managers should be able to identify opportunities for improving the customer experience and holding employees accountable by visualizing who handled a conversation – and when. Once a new conversation is identified by Oktopost, it will appear at the top of your Social Inbox, similar to your email inbox. Any account user with access to the Inbox – whose profile is relevant – will be able to view the conversation. Every conversation has two possible statuses: Pending and Archived. Once you Mark an Item as Done, it will be archived and removed from your Inbox feed. If Oktopost detects an update related to an archived conversation, such as another reply or a comment, it will automatically put the archived item back into your Inbox, in Pending status. This behavior is essential when considering the fact that your team can maintain a “Zero Inbox” without neglecting any message. Conversation statuses are the same for all users; meaning that if you mark an Item as Done, it will be archived for other users as well. The Social Inbox also allows you to help differentiate between seen and unseen conversations. Messages that have been clicked and read will be will be greyed out – a state which is only visible to you. Once a seen conversation is updated, it will pop back up to the top of your Inbox and change status to unseen. Besides the option to reply, the Inbox also allows you to like, share or send a direct message to a user who initiated the conversation. These options are available depending on the network and whether or not the conversation is public. If it’s possible to engage using other profiles, a selection will be available on the top right-hand corner of the Inbox. If you choose to directly message the initiator of the conversation, a new Inbox conversation thread will appear once the user replies to you. Tabs can be renamed or removed, and new tabs can easily be added. To customize the feed inside a tab, simply apply the desired search filters and Save the search. If you do not save your Search, the filters will automatically reset on your next visit. The Social Inbox allows you to assign conversations to different team members. Simply select the user who you want to assign the conversation to. This ensures a productive and focused environment where employees are accountable for specific conversations and can maintain on-going customer relationships. All of the above are available both via email and in-app notifications. Conversations may start on social but can very quickly shift to other channels. In such cases, you may wish to streamline the process by integrating your Social Inbox with other systems like CRM or support. Oktopost offers various integration options – from our native Salesforce Cases integration to the Zapier integration, and Webhooks integration. If you’re looking to connect the Social Inbox with any 3rd party system and want to hear more information, feel free to contact support. The new Social Inbox was carefully designed to scale, track, and improve your social response management strategy. With a neat view of every social conversation – be it a mention, comment, or direct message – your global enterprise teams can work together to communicate with customers, solve their challenges, and provide personal support, in real-time.